Very very tall towers. Includes: bedrock, obsidian, lapus lazuli,gold, diamond, leaves, sponges, book shelves, clay, stone, and many other things. MADE WITH CREATIVE MODE. 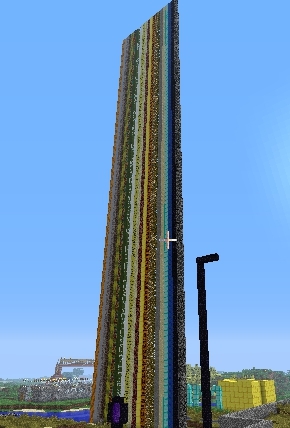 Wallpaper and background images in the Minecrat club tagged: minecraft very very very very tall towers by me. This Minecrat photo might contain wolkenkratzer, windturbine, wind turbine, geschäftsviertel der innenstadt, geschäftsviertel, and innenstadt.